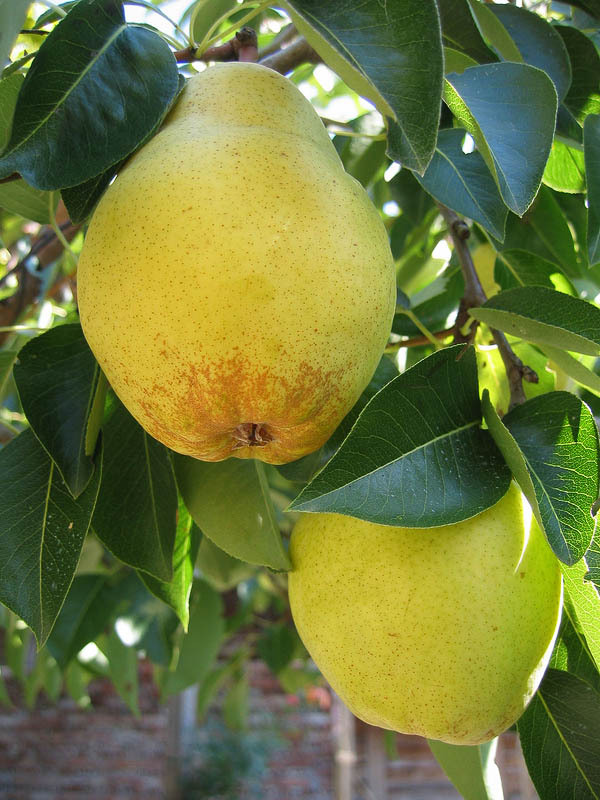 Two ripe pears on pear tree branch with green leafs. Sweet, tasty, juicy, healthy fruit. Natural food. Fruit-culture.